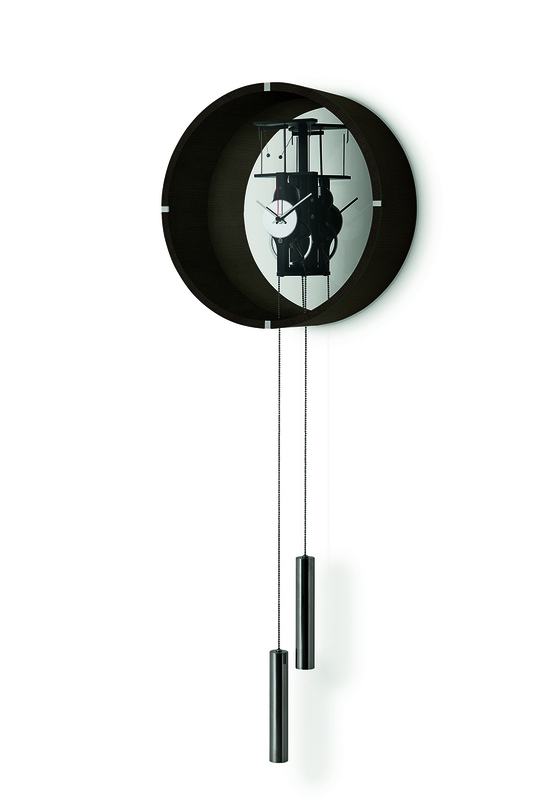 Manual winding pendulum clock. Tobacco stained ash structure and 6mm extralight transparent tempered bevelled front glass. "Supermirror" bright stainless steel back. Black anodised aluminium and chromed brass mechanism. 20" diameter face. Total height: 69".